As a Texas medical doctor and Dallas DePuy Pinnacle hip replacement Attorney I am providing this information and commentary. DePuy Orthopaedics ASR hip replacement devices have resulted in a tsunami of lawsuits against DePuy’s parent company, Johnson & Johnson. Could the DePuy Pinnacle hip replacement result in a similar wave of litigation against the device maker? According to sources, Johnson & Johnson faces approximately 1,000 lawsuits related to its metal-on-metal hip replacement devices. Both the ASR and the Pinnacle are metal-on-metal devices. The ASR devices were recalled following reports of high failure rates in the devices. The Pinnacle has not been recalled. DePuy claims that a report from Britain that showed a high failure rate was the first sign that there was a problem with the metal-on-metal hip device. When DePuy knew about the high failure rate of its ASR devices will be a key issue in litigation concerning the ASR. Some lawsuits allege DePuy knew in 2007, approximately two years before the device was recalled, about the high failure rate associated with the ASR. 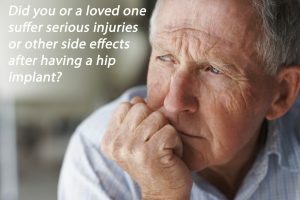 In addition to failure of the hip device—which can result in revision surgery to replace the faulty hip device—some patients say they have developed toxic levels of cobalt and chromium in their bloodstream, a side effect of metal debris coming loose from the hip replacement device. This medical condition is called metallosis. Some lawsuits have been filed against DePuy concerning the Pinnacle, although those lawsuits reportedly number in the dozens, not in the thousands. According to reports, similar defects have been reported in the Pinnacle as in the ASR devices. DePuy defends the Pinnacle as a safe and effective device. According to experts, Johnson & Johnson could face up to $1 billion in liability and costs linked to the DePuy ASR lawsuits. Many lawsuits filed against Johnson & Johnson have been consolidated in federal court. Whether or not Johnson & Johnson and DePuy Orthopaedics will face a wave of litigation related to the Pinnacle remains to be seen. Call us toll-free at 888-210-9693 or send us an e-mail to schedule a free initial consultation about a car accident, slip and fall premises liability claim or any other personal injury or wrongful death case. We handle all cases on a contingency basis, which means you pay nothing unless we accomplish our mission of getting justice for you.